Salman Khan, who is gearing up for his next project Tiger Zinda Hai, has booked Eid 2019 as the release date of his next film titled Bharat. The 51-year-old star will play the title role in the movie, which will be directed by Ali Abbas Zafar. With Bharat, the actor is continuing with the trend of releasing his films on Eid. The movie is an official adaptation of 2014 South Korean film, "Ode to My Father", which narrates modern Korean history from the 1950s to the modern day through the life of an ordinary man and events such as the Hungnam Evacuation during the 1950 Korean War. The film will also depict the government's decision to dispatch nurses and miners to West Germany in the '60s and the Vietnam War. "Bharat" will be backed by Atul Agnihotri, who attended the South Korean film's screening at Berlin Film Festival, where it was identified as potential content for the Indian masses. Agnihotri said that their adaptation will be inspired by the original movie but the story will be based closer to home. "It's the journey of a country and also a person, both of whom go by the name of Bharat. "That film is just the starting point for ours but since it was an inspiration, we wanted in all fairness to officially own it and acquired the remake rights before going ahead with Bharat," he said in a release. 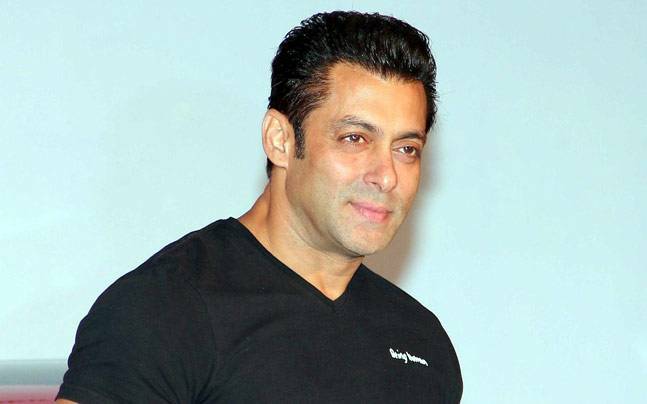 The producer also said Salman was the right choice to play the role of the protagonist, given his long association with his brother-in-law as an actor, producer and director. The actor-producer duo's film will hit the celluloid on the festive period once again post the blockbuster 2011 Bodyguard. "It's a character that I thought would resonate with him. It's a huge responsibility making a film with Salman as there are big expectations that come with the job,’’ he said. "I'm very conscious about Salman's fan base and what they want. And once again, I'm convinced that being a family film it's worthy of coming during the festive time. And anyway, an Eid release is always every producer's preferred choice," he added. Agnihotri added director Zafar is excited and "passionate" to a part of the project. "Ali is a friend, I love his work and eventually it's all about connecting with the source. If you speak to him, you will realise that Ali is far more passionate about the material," he said. Salman has worked with Zafar in 2016's blockbuster Sultan and their much-awaited film Tiger Zinda Hai up for release on December 22. Bharat will be shot on elaborate sets in Abu Dhabi and Spain, besides Punjab and Delhi in India. "Casting will be our main agenda over the next three months and since it's a character-driven story, we will take actors who fit the part," he added. Previous StoryPics: Hrithik Roshan, Sussanne Khan and kids return from their vacation Next StoryAnushka Sharma, Virat Kohli to tie the knot in December?